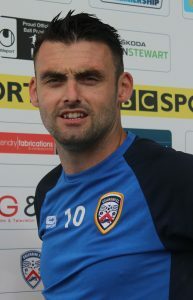 Previous Clubs: Ballymoney United, Glenavon. 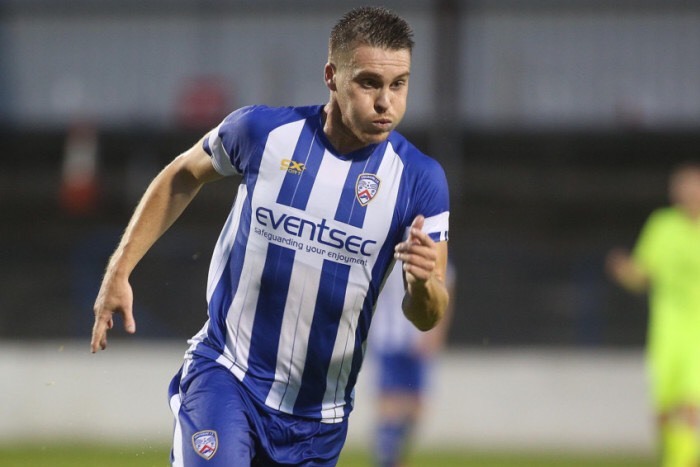 Eoin Bradley re-joined the Bannsiders in January 2017 following a successful stint with Glenavon and has gone on to make over 100 appearances in blue and white. 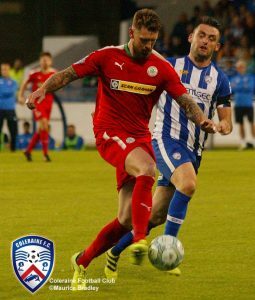 ‘Skinner’ was part of the victorious Lurgan Blues Irish Cup team in 2016 and the Derry GAA star replicated that success as he scored the third goal in last season’s cup win against Cliftonville. 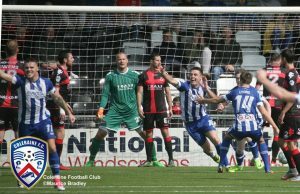 The striker possesses a strong physique, an eye for goal and can bring other players into play with his strength. 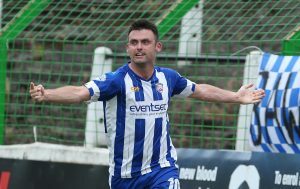 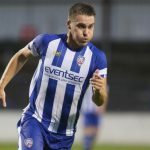 Bradley pictured in the Bannsiders’ victory over Cliftonville in August 2017. 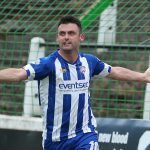 Bradley wheels away in celebration after netting against Crusaders at Seaview. Coleraine Eoin Bradley celebrates scoring a goal. 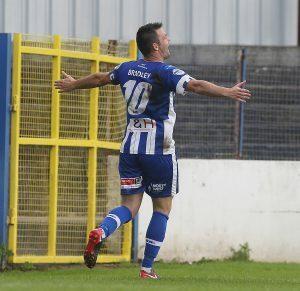 Bradley wheels away in jubilation after netting on the opening day against Warrenpoint Town in August 2018. 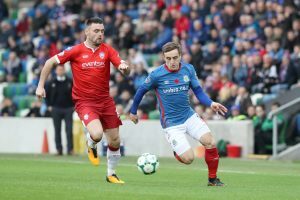 Bradley keeps tabs on Joel Cooper as Coleraine defeated Linfield in November 2018.